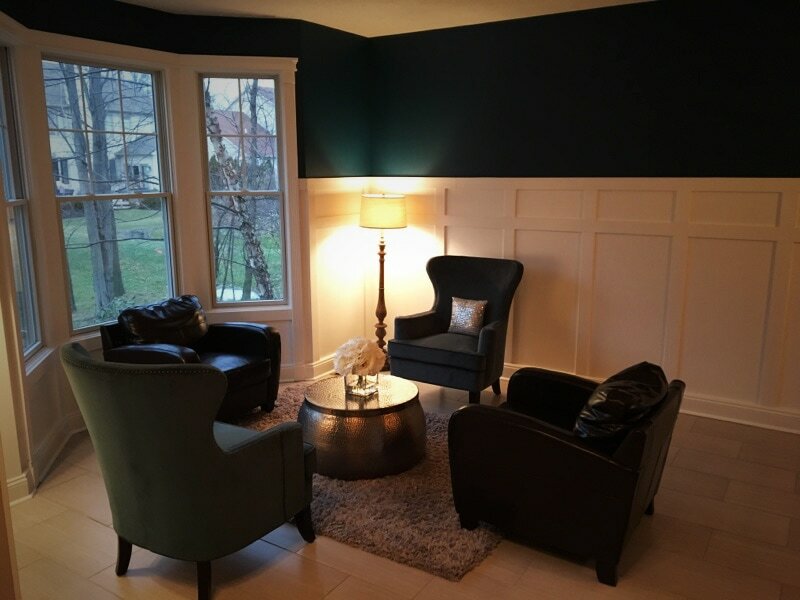 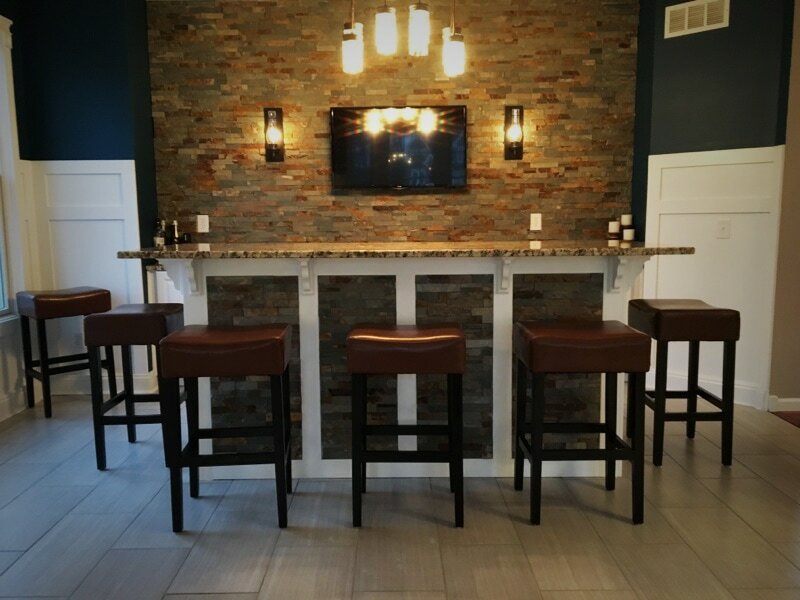 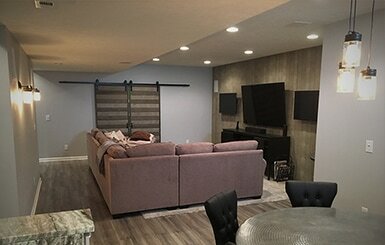 This Avon homeowner wanted to utilize his dining room space, so we worked to create a focal point of the room with a bar top, seating for 5, and mounted TV for entertainment. 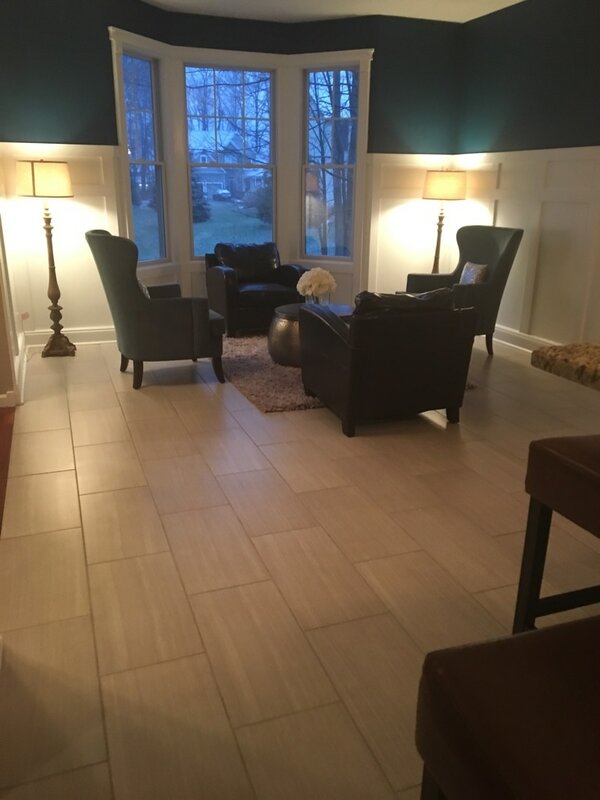 Since this dining room is to be utilized for entertaining guests, we wanted to create a cohesive flow from the bar area to the other parts of the room by replacing the old carpet with new, long gray tiles that run throughout the room. 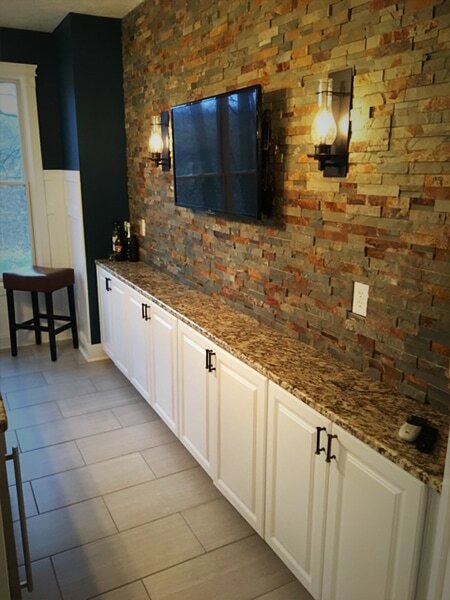 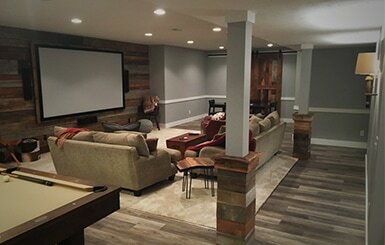 Have a remodeling question about your home?